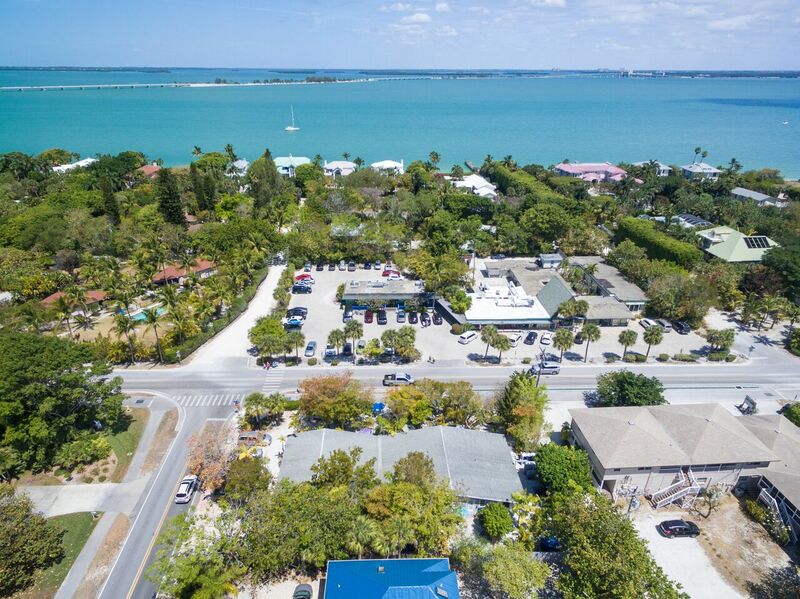 The Tarpon Tale Inn is located on the east end of Sanibel Island, the only part of the island with sandy beaches on both the Gulf and Bay sides. We’re a short walk from the Bay, the Gulf, and the historic Sanibel Lighthouse and fishing pier. Island favorites Pinocchio’s Ice Cream and the Lighthouse Cafe are right across the street. Sanibel Island is located across San Carlos Bay from Ft. Myers, Florida. The drive over the causeway is beautiful, and you’ll often spot osprey and dolphin right from the roadway (but don’t get distracted if you’re driving!). The Tarpon Tale Inn is on the east end of the island, close to both bay and Gulf. Turn left on to Periwinkle at the stop sign after the causeway and you’ll be just moments away. We’re at the intersection of East Gulf and Periwinkle, and our office is on the east side of the building, facing Periwinkle. Please see our directions page for detailed navigation for arrivals by air or car, and don’t hesitate to call us at 239-472-0939 if you need more detailed directions.